Lily’s Homestyle Chicken & Turkey Casserole is a high protein meal, made from organic, whole pieces of meat with a variety of fruits and vegetables such as organic broccoli, squash, peas and whole blueberries. Contains all the essential vitamins and omega oils for a complete, nutritionally balanced diet, in a tin! Suitable for puppies over 4 months old. 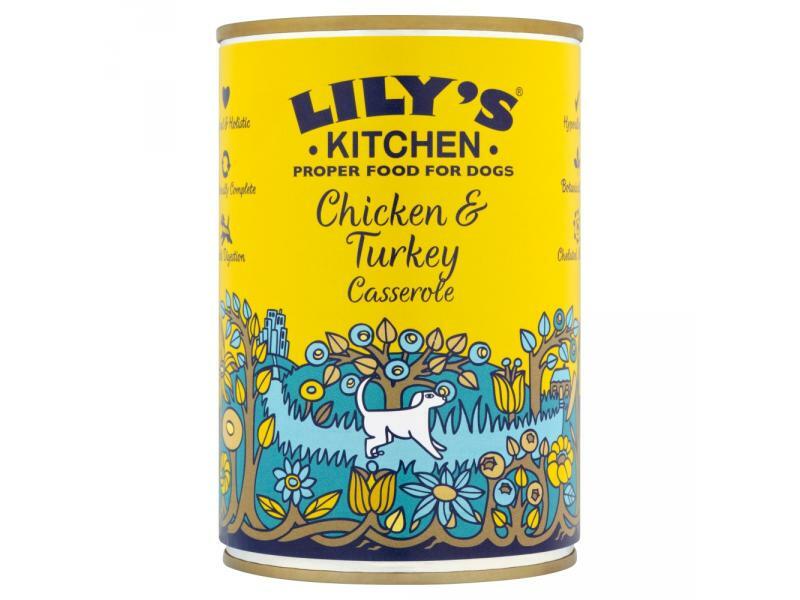 There are currently no questions for Lily's Kitchen Homestyle Chicken & Turkey Casserole Dog Food - be the first to ask one!